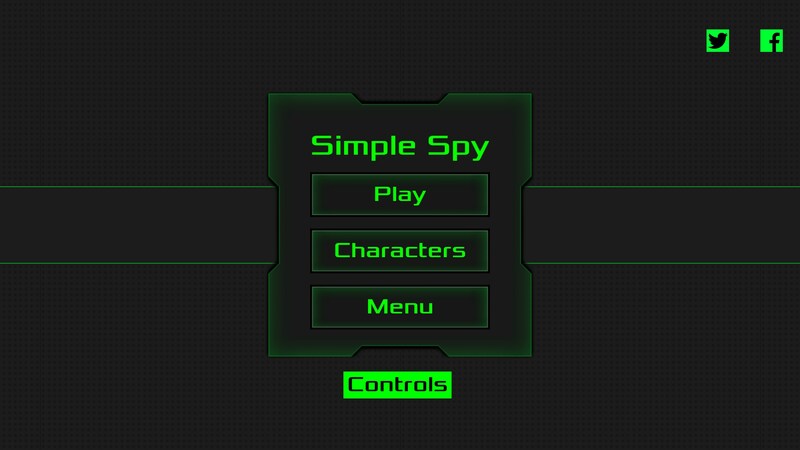 Simple Spy – Games for Android 2018. 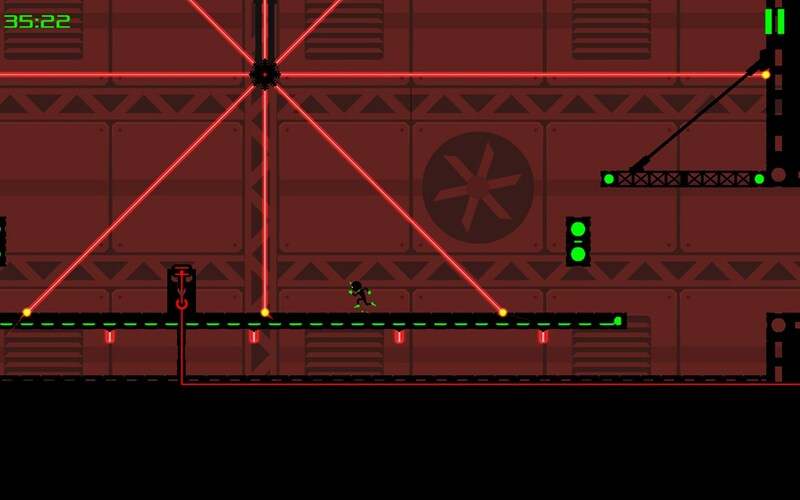 Simple Spy – A fun and dynamic 2D platformer. 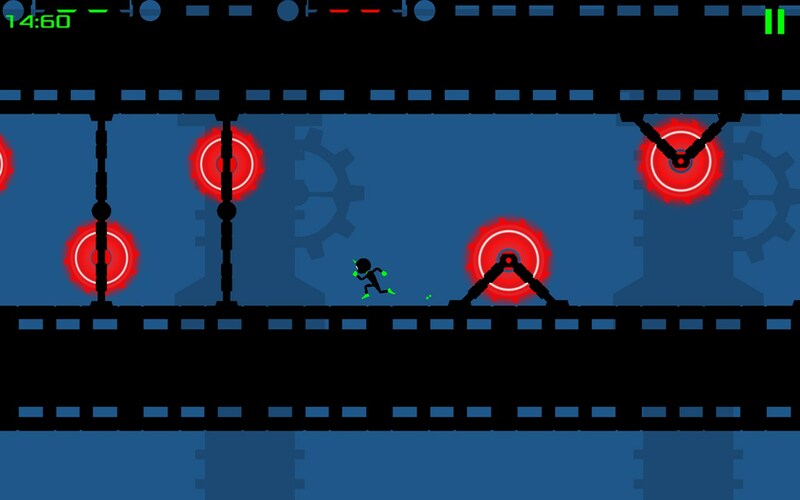 Simple Spy for Android is a 2D platformer that will definitely push you to your limits. 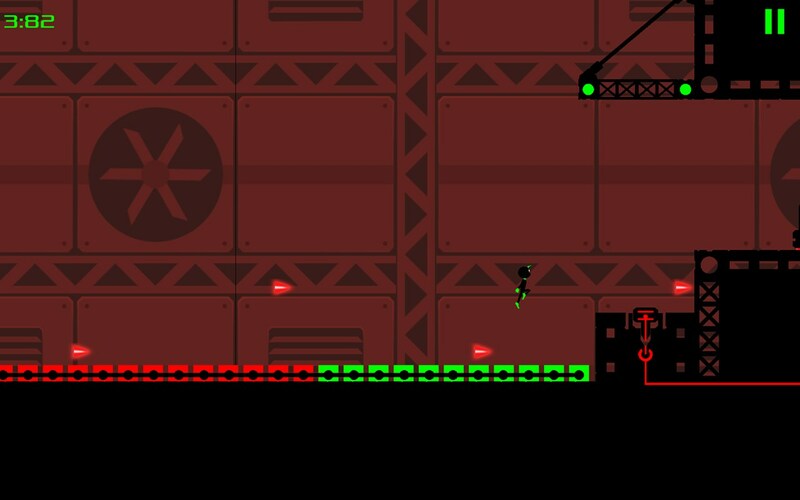 If you’re a fan of fast paced but methodical platforming action then you definitely shouldn’t miss this one up. It’s a buck, but that means no annoying ads and no constant reminders that you could be purchasing power-ups. 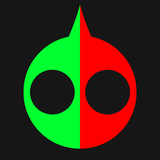 Staying true to its name, this platformer is relatively straightforward in terms of gameplay mechanics. 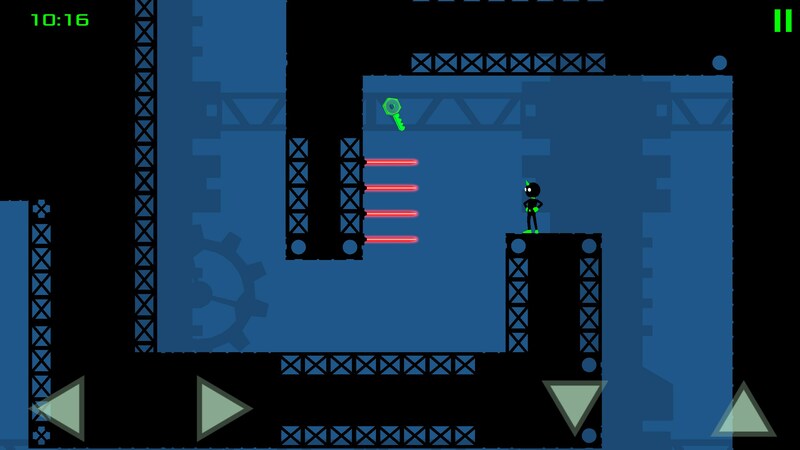 You have a jump button and directional buttons, so there really isn’t a ton of mechanics to throw into the mix with this one. You can wall jump - and you’ll definitely need to master it to survive - but that’s about as complex as any of the gameplay gets around here. 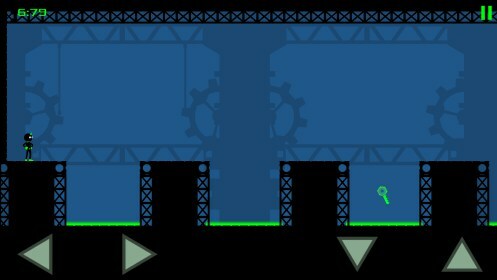 Levels are really hectic and you’re always on a timer. From the second you start, you’ll be judged on each level based on how quickly you’re able to complete each stage. 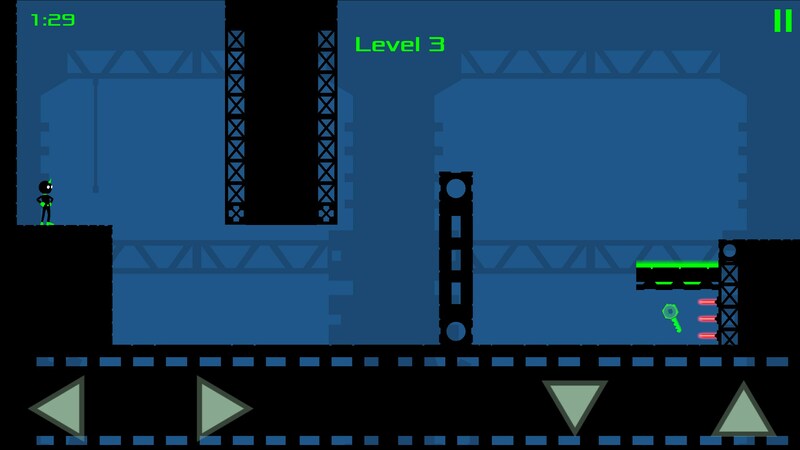 Levels are full of crazy jumps and obstacles you’ll want to avoid. 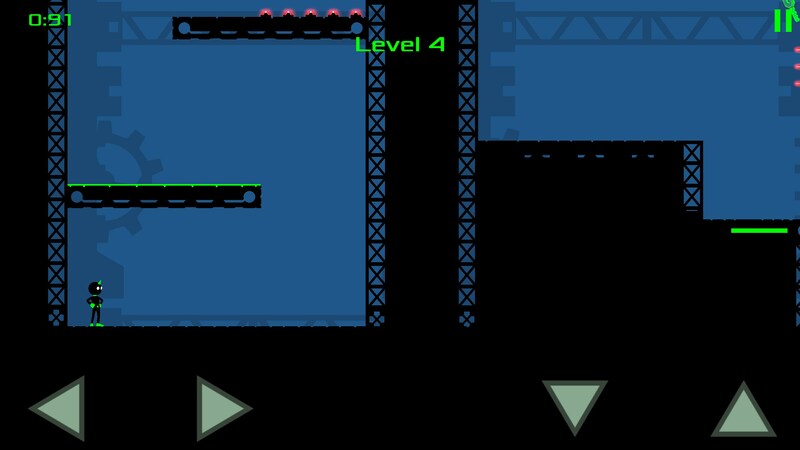 There were more than a few levels where I walked in and didn’t think I’d be able to complete it because of how some of the jumps were set up, but I managed to surprise myself. 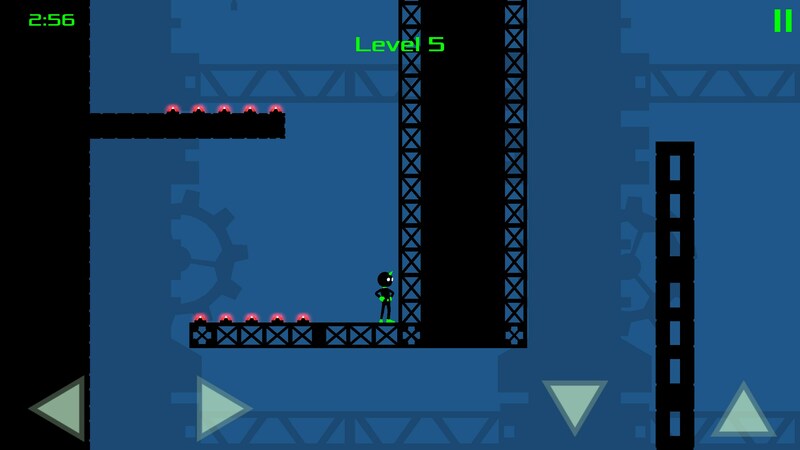 I do have to say, some of the levels got a bit frustrating because you can’t always see what’s ahead of you. 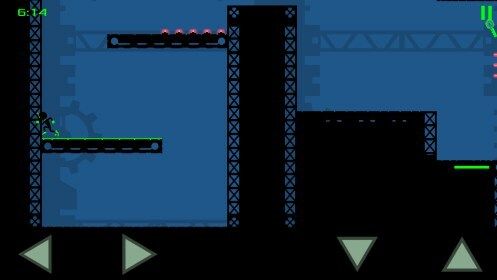 There were a few jumps when I honestly couldn’t see where I was going to land, which is scary in game like this. 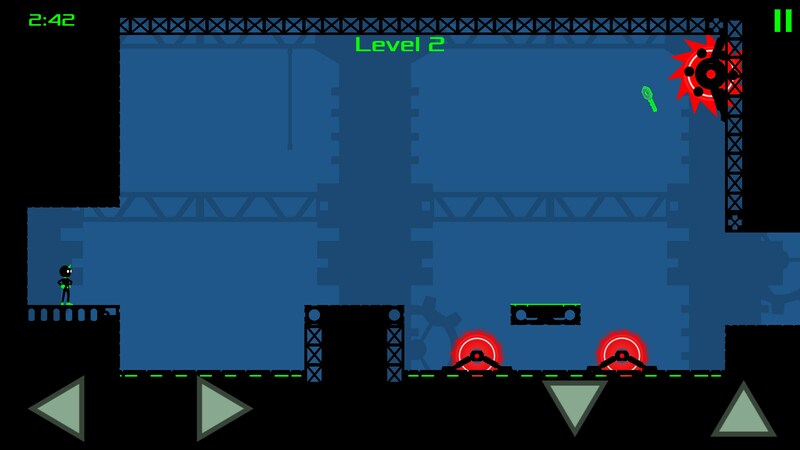 I’m also not a fan of the fact that each level plays the exact same music over and over again. 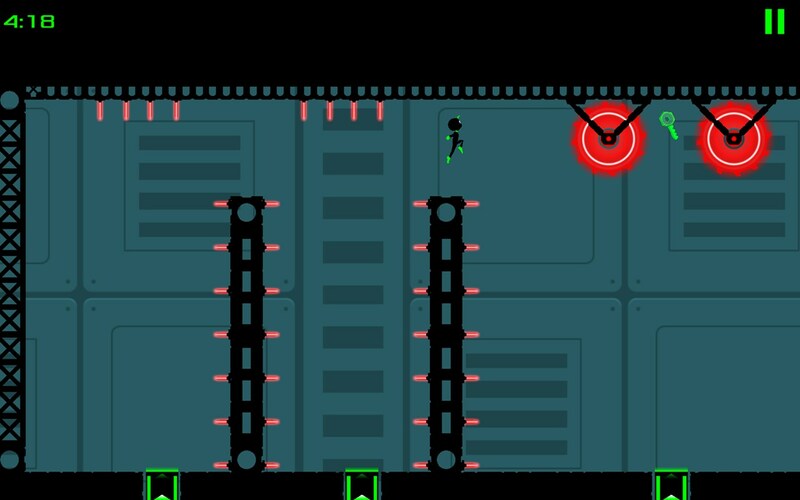 Simple Spy is a fun platformer that does end up getting pretty repetitive. 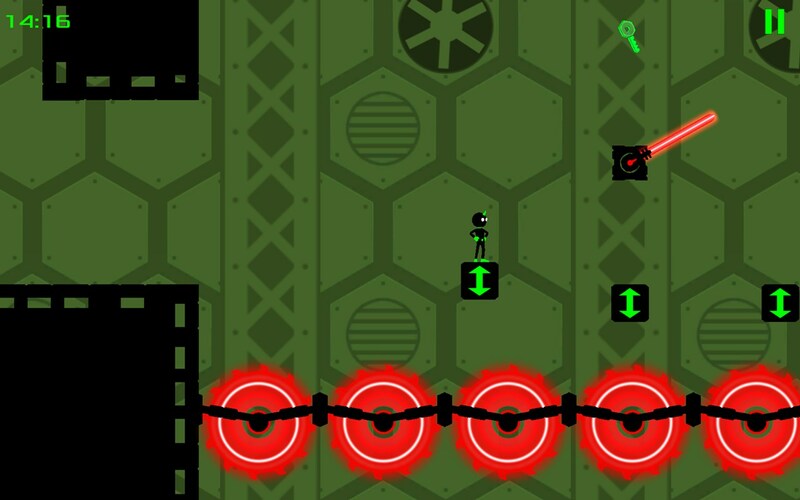 There are 60 regular levels and 4 bonus levels, plus you can get different characters with different animations. Not many heroes, but tons of mazes!